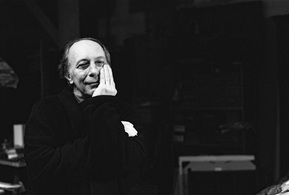 ﻿Pierre Skira (b.1938) is one of the most distinguished living exponents of the medium of pastel with his own unique forms and colours. He was born in Paris, the son of the renowned Swiss publisher Albert Skira who worked with many of the leading European artists of the 20th Century including Matisse, Dalí and Picasso. 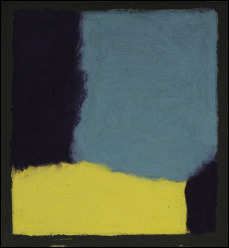 At the beginning of his artistic career in the early 1960s Skira chose to work largely in oils. In 1975 he abandoned oil in favour of pastel - a medium which came to dominate his practice and for which he is best known. His materials are of the highest quality available - those made by Roché, Paris – the oldest pastel manufacturer in the world. Skira’s artistic activities and interest in literature led him to collaborate with some of the most prominent contemporary French writers and philosophers such as Jean-François Lyotard, Gérard Macé, Pascal Quignard and Patrick Mauriès. He has in turn had his own work published including a novel - Les Orgues de Glace (Viviane Hamy, 2008). Skira started exhibiting in 1962 and has since then shown extensively both in France and internationally – including with Jan Krugier in Geneva. His work is held in many public collections such as the Palais de l’Élysée and the Musée National d’Art Moderne, Centre Pompidou, Paris. 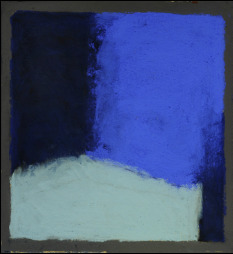 The Redfern Gallery founded in 1923 in the heart of London’s Mayfair, has exhibited many leading 20th Century artists such as Barbara Hepworth, Graham Sutherland, Henry Moore, Paul Delvaux, Antoni Tàpies, Paul Jenkins, Chaim Soutine and Francis Bacon. The strong connections with artists working in France led to shows of Pierre Soulages, Georges Rouault, Maurice Estève, and Vieira da Silva. The gallery is very proud that this continues today with Pierre Skira.